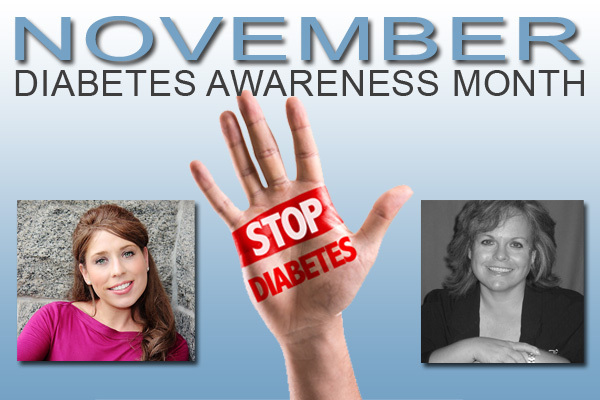 November is Diabetes Awareness Month, so in November, 2014, CDiabetes.com co-hosted a twitter chat with Erin Palinski Wade, RD, @DietExpertNJ; and Maureen Sullivan, RN, CEN, CDE, @maureensrd. Here’s some of the great information from that chat. Welcome to National Diabetes Awareness Month. A great way to celebrate is by increasing your knowledge! Today in America there are 29.1 million people with diabetes. There are another 86 million adults with prediabetes; that’s more than 1 in 3 adult Americans. Clearly we have to do something, but what can we all do to reduce our risks? Prediabetes is a higher than normal glucose level. 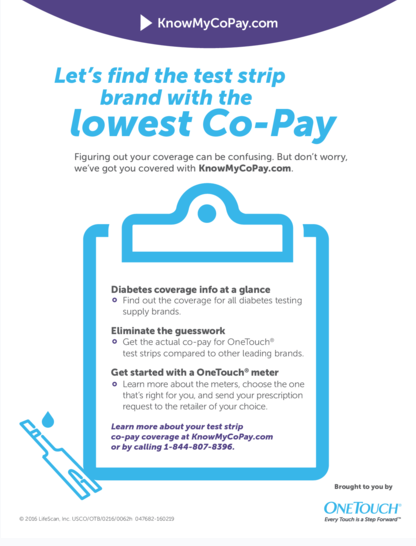 9 out of 10 people who have prediabetes don’t even know that they have it. Obesity, a strong family history of diabetes, and inactivity can all increase the risk of prediabetes, so if you have any of these signs, you should get screened annually. You should also get checked if you are age 45 or older. Know your numbers and your risk. 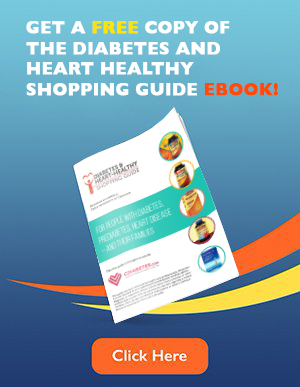 Did you know that having a parent with type 2 diabetes increases your risk by 15%? 75% if both parents have it! Better living and healthy behaviors can reduce your risk of developing diabetes and improve your overall health! Prediabetes, if left untreated, can become diabetes in 15-30% of people within 5 years! Increasing activity (even simple walking!) can lower your risk. If you’re overweight, losing just 5-7% of your weight can lower your risk of diabetes by 58%. Cutting out sugary drinks (sodas, fruit juices, sports beverages) can also lower your risk. High blood pressure is another risk factor for diabetes. Know your numbers, lower your sodium intake and exercise! Where can I learn the best ways to live with diabetes? Talk to your doctor or medical professional. 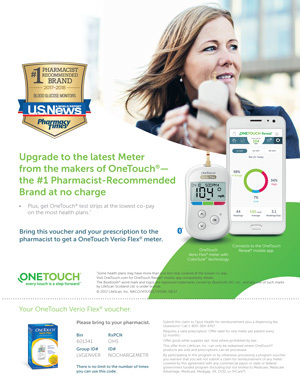 Get a recommendation for a diabetes program in your area. What foods make blood sugar the hardest to manage? Refined carbohydrates and simple sugars spike glucose levels the most and can increase insulin resistance. A diet high in saturated fats and fatty animal products, as well as inflammatory foods, can also elevate blood sugar. What role does body weight play in blood sugar management? Excess body weight can increase insulin resistance, making glucose levels harder to manage. Losing just 5-10% of your body weight can increase insulin sensitivity. What’s the best menu plan people with diabetes? The best menu plan for managing diabetes is to eat healthy, well balanced meals – something that everyone should do. Make sure you include vegetables, fruits, a small portion of starch and 4oz. or less of a lean protein. For glucose management, choose whole grains, lean proteins, healthy fats and fresh produce. Fill 1/2 your plate with vegetables, ¼ with a lean protein, and ¼ with whole grains. How does stress affect blood sugar? Physical and emotional stress can raise blood sugar. Take care of your whole self with a healthy diet and exercise to maintain a healthy weight and manage your stress. What foods can have a positive effect on blood sugar levels? Lean proteins and healthy fats create a minimal rise in glucose levels. Legumes (beans) can help improve blood sugar, blood pressure and cholesterol. And high fiber foods, such as whole grains, fruits and vegetables can help stabilize blood glucose levels. Make healthy and easy substitutes to your diet – eat plant based proteins instead of fatty animal proteins, and swap whole grains for refined starches. Flavor foods with less salt; use seasonings which have health benefits, such as cinnamon, cayenne, and turmeric. According to the Journal of Medicinal Food, cinnamon can help lower fasting blood sugar by 3 to 5%. That’s not bad! Don’t forget to balance your fruit with a protein or healthy fat like nuts, eggs, cottage or another low-fat cheese. What role does exercise play in glucose management? Exercise helps make cells more sensitive to insulin, which improves blood glucose levels. Exercise can also help you to achieve and maintain a healthy body weight, decreasing the risk of diabetes and helping you manage it. Aim for a minimum of 30 minutes of exercise most days (always get approval from your doctor before starting an exercise regime). Exercise can increase your risk of hypoglycemia, so always test glucose levels before and after and carry fast acting carbs. A lot of people like to split up their exercise into smaller segments, like 10 minutes of walking, 3 times a day! However you do it, exercise can help keep blood glucose levels down and help you manage your weight. So this month and every month remember, knowledge is power and small changes are the keys to big success! For the full transcript, go to http://cdiabetes.com/diabeteschat-twitter-chat-november-12-2014-transcript/.